In the first semi-final Japan downed Georgia 5-1. 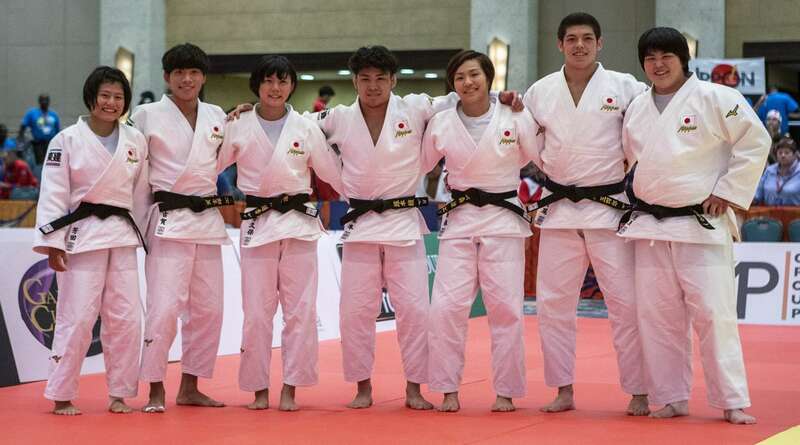 TOMIZAWA Kana (JPN) defeated a gutsy Eteri LIPARTELIANI (GEO) with a kuzure-kami-shiho-gatame hold which the Georgian submitted from after only eight seconds. 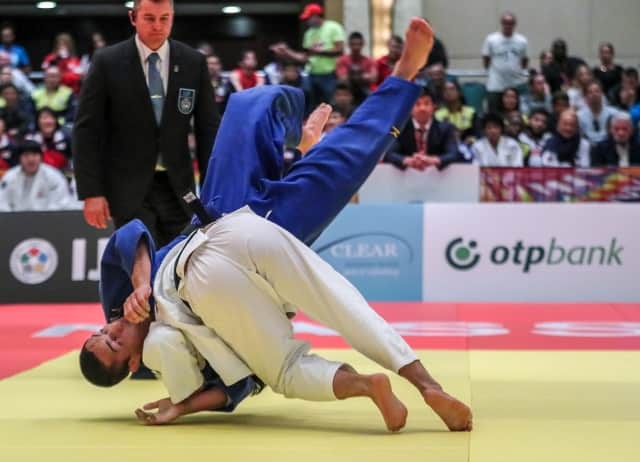 In the second semi-final Brazil overwhelmed Kazakhstan 5-1 with Jeferson SANTOS JUNIOR (BRA) picking up the fifth victory against Zhanbolat BAGTBERGENOV (KAZ). The -73kg contest was won by SANTOS JUNIOR as BAGTBERGENOV received his third shido and was disqualified in golden score. The first set of bronze medals were won by Kazakhstan who saw off France 5-3 in a riveting match up. With the score at 4-2 in favour of Kazakhstan, Alexis MATHIEU (FRA) won a must-win clash against Yerassyl BOLAT (KAZ) at -90kg. The Frenchman kept his country in the match with a modified kata-guruma that earned a waza-ari score. The women’s heavyweight category was last up as Laura FUSEAU (FRA) was up against Kamila BERLIKASH (KAZ). Kazakhstan needed one more contest win while France had to win this one to remain in contention and to tie up the score. 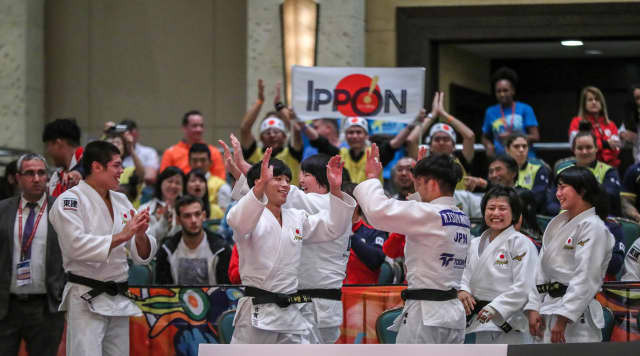 The tension was palpable as golden score was ordered and French judoka FUSEAU made the fatal mistake of stepping out of the contest area which resulted in her third shido. The second set of bronze medals were claimed by Russia who defeated Georgia 5-3 in a classic. This match up always delivers and the mixed team format added to the intrigue in the Bahamas. 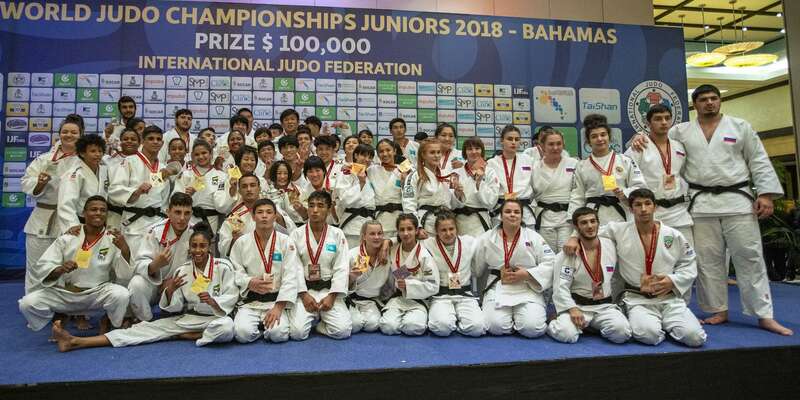 Eteri LIPARTELIANI (GEO) showed her quality as she defeated Danna NAGUCHEVA (RUS) with an uchi-mata for ippon to reduce her country‘s deficit to one contest (3-2). Khamzat AKHMAROV (RUS) made it 4-2 by ippon from an uchi-mata against Aleko MAMIASHVILI (GEO) to put Russia on the brink of bronze. Junior World Championships winner Lasha BEKAURI beat Eldar ALLAKHVERDIEV (RUS) to keep Georgia in the match before Veronika ARTAMONOVA (RUS) pinned down Sophio SOMKHISHVILI (GEO) to seal bronze for the Russian delegation.